When Apple's smartphone went on sale on June 29, 2007, the world was dominated by flip phones and Blackberrys with tiny keyboards. People carried iPods for music, Palm Pilots for calendars, and compact cameras for photography. Putting all those things into a rectangle that fit in your pocket seemed crazy. Doing it without a keyboard was even crazier. Ten years later, details have come out about what it really took for Apple to create a brand new gadget that changed the world. These are some of the stories of how the iPhone was born. "It began because Steve hated this guy at Microsoft," said former Apple executive Scott Forstall. The Microsoft employee was married to a friend of Laurene Powell Jobs, Steve's wife, and they ran into each other at social events. One time, the man went on about how Microsoft was going to fix laptop computing with tablets and styluses. "He just shoved it in Steve's face the way they were going to rule the world with their new tablets [and] with their pens," said Forstall. "And Steve came in on Monday, and there was a set of expletives, and then it was like, 'Let's show them how it's really done.'" 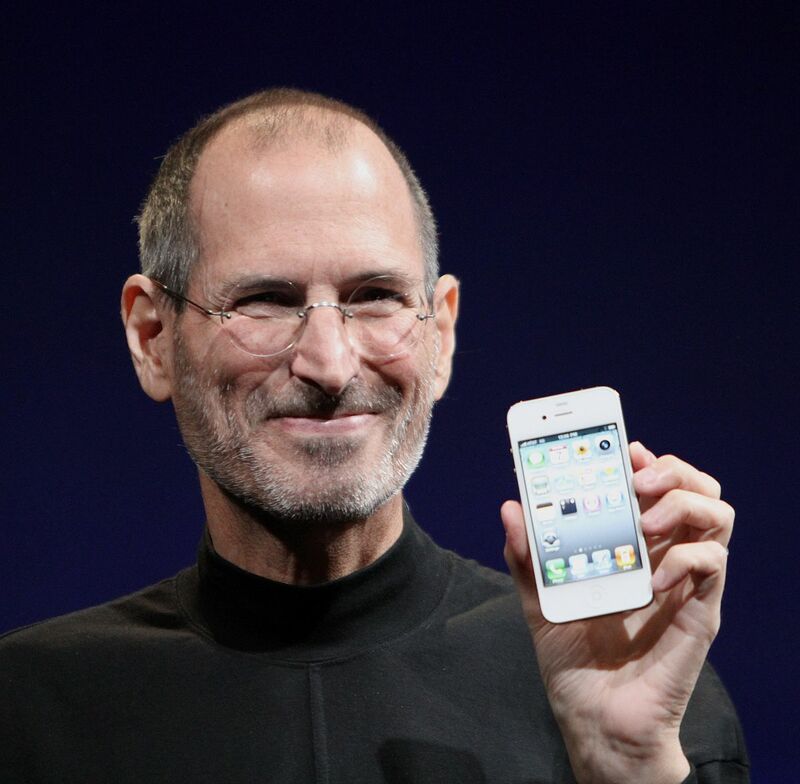 Jobs thought using a stylus was cumbersome and said people should use their fingers instead. So he had a group start working on a tablet with capacitive touchscreen technology. Before the iPhone made its public debut at the Macworld convention in 2007, it was a top secret project at Apple's Cupertino headquarters. Apple officially started work on the iPhone at the end of 2004, and hundreds of employees were drafted to work on the project. It introduced a whole new level of secrecy to the company, as well as some creative office layouts. Not all glitches were technical. Long before the famous iPhone 4 was found in a bar, Fadell left the original iPhone prototype on an airplane in Germany. He had to ask a team of people to search the plane without saying what, exactly, the device was. "I'm like, 'It's a black thing. It looks like a piece of glass on one side, plastic on the other side. It's about a little bit larger than the size of a playing card deck. Please find this thing. I must have it. I have to have it.'" It was found tucked into his seat cushions. And then there was that final on-stage demo when so much could have gone wrong. The team had multiple backups ready to go, but the demo went off without a hitch. And the rest is history.